These are very popular here in Australia. Bit of a PITA if you want to pop to the shops or drive away anywhere. Still can't seem to find a decent reasonably priced barn door awning/cover. Anyone found anything new out there? 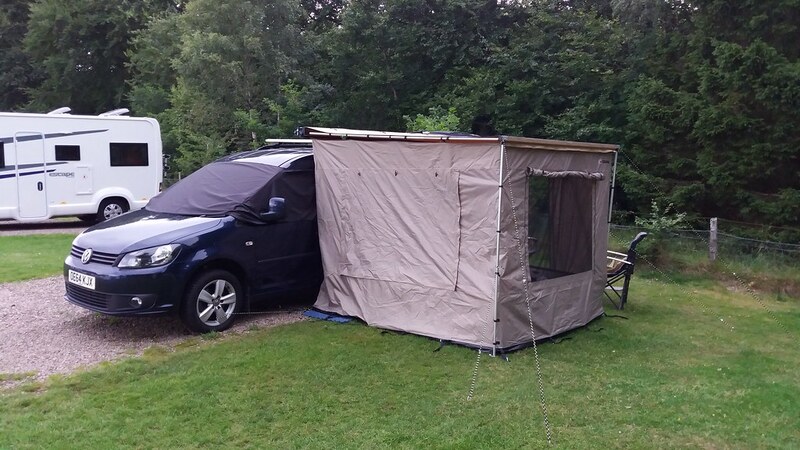 I was just looking at this ARB awning recently as a potential for my Caddy Maxi Life (available from campervanculture.com). 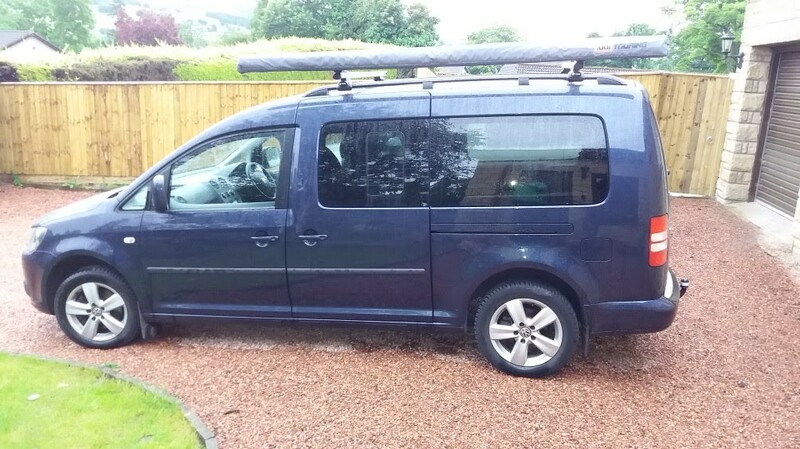 I already have a poptop roof so probably wouldn't be able to do the roof rack install you have. Is that to achieve the 2500mm height of the cube tent inside? Would love to see some inside shots and how easily you access the sliding door. Unfortunately it is packed away just now so i am unable to share any photos. 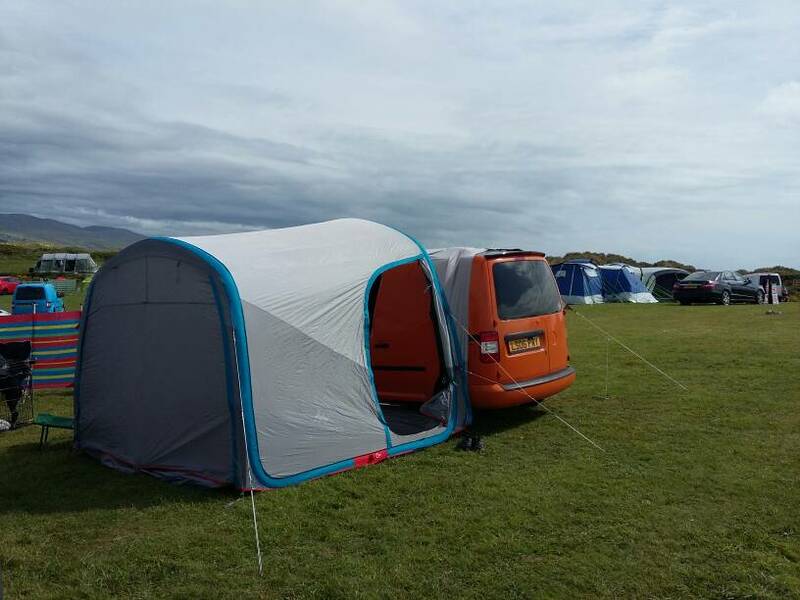 Basically when it is up, the awning room gives you a living floor space of 2.4 x 2.4 m, which for us is plenty big enough to fit two comfy Oztent beds in with a bit of space to spare. Aligning the sliding door with the awning room door is possible. The way i set it up this time gave us about 60cm gap. I think if i moved the awning part along a bit we would have had a better alignment of door openings. First time we used it it, it was a bit of trial and error, but in general it works well and gives a great living space. 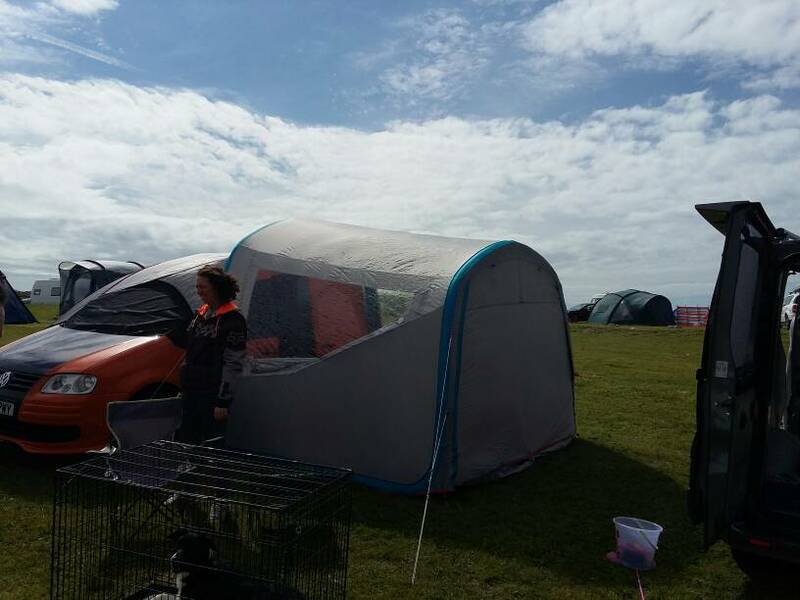 Anyone got a pop up sort of awning? I remember back from my t4 days some used a decathlon one? That's a great size, can I ask what make it is tangoed caddy? CaddyAndy wrote: That's a great size, can I ask what make it is tangoed caddy? What's the seal like to the van? CaddyAndy wrote: Good stuff, thanks. How do you keep it attached then? CaddyAndy wrote: How do you keep it attached then? Think I walked past your van parked up on shell island ?